Most electrical equipment in utility, industrial, and commercial power systems uses either 50 or 60 Hz alternating current. Because of this, the use of an alternating current source to test insulation would appear to be the logical choice. However, as will be described a little later, insulation systems are extremely capacitive. For this and other reasons, DC has found a large niche in the technology. Before we can really evaluate the value of one system as opposed to the other (e.g. AC vs DC), let us examine how each type of voltage affects insulation. Figure 2 shows the time domain graph of the two currents. 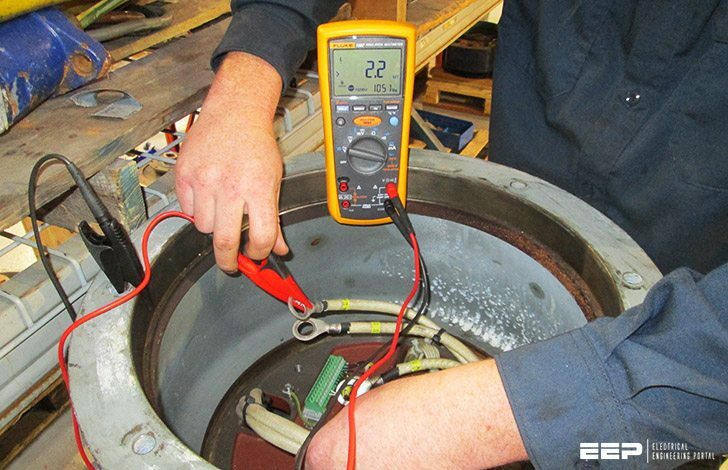 The effective electrical maintenance program must include periodic evaluation of the insulation quality. Technical Bulletin only scratches the surface of the subject.